@Kelson , thanks. Will try that method. And will look at MakeMKV again. @giomania , thanks, will check out the thetvdb.com. I think I solved my problem, though, with Turn. I found a source for the episodes, all named according to the common naming convention, where I can watch the first bit of each episode, match it to my ripped episodes and then cut-and-paste the episode name to my ripped episode. Off-topic .. Can anyone point me to a resource that will explain the landscape for streaming TV, including live TV, the simplest hardware I will need AND with an integrated way of my wife watching downloaded content, i.e. TV episodes. I have just scratched the surface researchng this when I learned that live cable news and BTN are now available as live TV. It’s time to cut the cord. aaronwt, pepar and dmarqueset like this. Current version of MakeMKV is 1.14.2. Try updating. Haven't seen this mentioned, but with the latest version (1.14.2) of MKV, I noticed that it will now convert CC's to subtitles. Yay! This was on a DVD, but it is likely the same for BD as well. That is a good feature. Last I checked it did not detect CC on Blu-ray. The author asked for Blu-ray titles that have CC (they are more rare than on DVD) and I suggested the Firefly TV series and the Mrs & Mrs Smith movie with Pitt and Jolie. Before everyone jumps in on this: Closed Captions and normal subtitles are different things. You know how to get a drive to dump its firmware? It may have been mentioned but does anyone know if there's for sure way to get a dump off the USB port of a drive? Such as the LG xx50xx40 or xx60xx10 external drives? 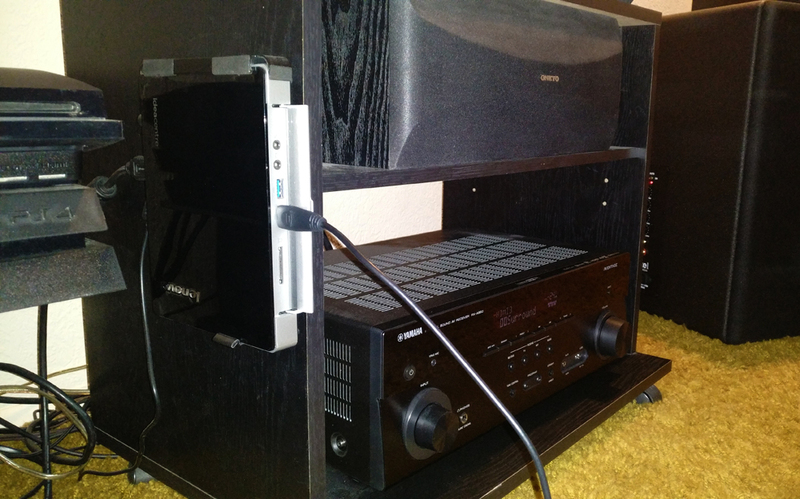 So I have one system with a 2-ch amp (no AVR) and two TVs. To move this rig to streaming would require Fire Stick or Roku to work with an HDMI audio extractor, i.e. 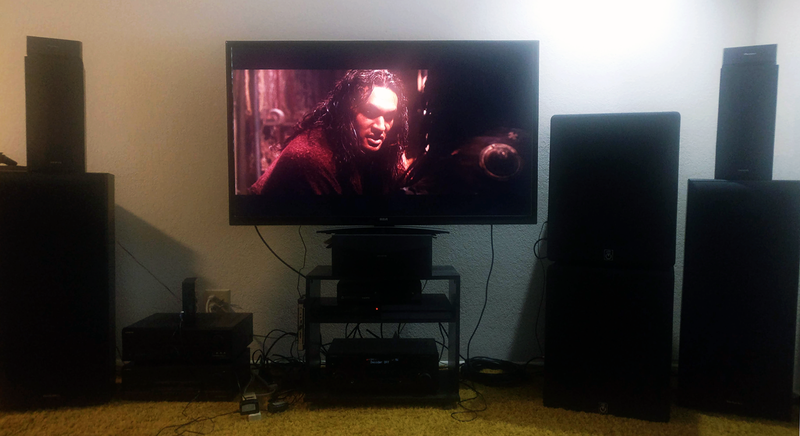 the dongle plugs into the extractor’s HDMI input and the HDMI output continues on to an existing HDMI splitter and my two TV’s while the extractor’s phono outs would go to my amplifier. Anybody know if a Fire Stick or Roku would work like that? Or if someone points me to the correct forums, I’d ask there. And they don't charge tax in many states.... also, make sure you take advantage of these new sales before those tariffs kick in! It's time to fill up those servers, guys! 3-day sale at BB will get you 10TB for $25 more. You also get points at Best Buys so while that doesn't even things out., it is a bit of a discount. work out cheaper, in the long run. mike_carton and Madmax67 like this. I've been out of the game for a while. I've got two kids and started coaching them in sports so I've not had a whole lot of time. I moved from Texas to Florida. I've got two Dune Smart D1s and I've been cobbling together a network of Western Digital MyBook Live 3-4TB drives. I'm not sure how much life they have left or even if they will boot up. So I'm thinking of replacing them with a centralized server. I'm looking for suggestions for a new media streaming device as well as a NAS. My thoughts on the former are to get an APPLE TV 4K and purchase the Infuse 5 Pro app. As far as the NAS is concerned, I'm trying to determine if I should move to a RAID or just deal with the inherent risks of having to re-rip my entire collection. Previously, that risk was not great as I have the movies split across 4 servers. I have them on a spreadsheet. Been looking at another Western Digital, maybe the My Cloud Expert Series EX4100. Also looking at QNAP and Synology. I'm starting to think I'll just do 12 -16 TB and use my existing servers as a backup (and then when they're full just turn them off and store them). Also, what are you guys using for 4K titles? 4TB My Passports are only $99.00 and are a far better solution for secondary backups than wasting $'s and hard drive space on a RAID. Just fill one up when your server/NAS gets to 4TB of data then disconnect it and store it in a fireproof container. Repeat as needed. That's exactly what I ended up doing. I had been using Mybook 4tb drives, and then switched to the EX4100 while using the Mybooks as a backup (the full ones are unplugged and stored away). Works well for me, and the EX4100 has been rock solid...full disclosure, I am not transcoding to play a file so YMMV. Last edited by dbone1026; 03-11-2019 at 07:50 AM. Hi guys, I have a blu ray ripping question. It's probably common knowledge but I'm just stumbling on it now. First some quick background. I've been access my blu ray rips on my NAS using a WDTV Live for a few years, and have not had any problems. I've used Handbrake on extremely large files, but for the most part they are full BD rips. I also have a couple of Firesticks that I thought would be fun to put Kodi on so that I could also access the NAS with them, but got a lot of stutters on a handful of full BD rips. The WDTV was wired but the Sticks were wifi, so I got a ethernet adapter which took care of the problem on a few of the rips, but not all of them. On one, the movie Serenity, I went ahead and used handbrake on it, and it now plays fine. Ok, so no problem, I can just do that for the rest, but one thing I just noticed is that every one of them that's having problems is listed as VC-1 instead of H.264...I'm guessing that THAT is not a coincidence. Is that something that is known or is common? Would running those through Handbrake without any compression change them to H264 and then they would play...or am I just going to have to play around and see what works? Any thoughts? Personally what ever external you decide to use I would remove it from the supplied enclosure and use it with a stand alone enclosure. I once loaded a drive up while still in the supplied enclosure, was a Hitachi as I recall, then removed it and tossed it into my machine, the data was not accessible, plugged it back into the supplied one and there was the data. Lesson learned. How do you create your content? What format do you save it in? Most stuttering that happens from the actual content after demux/remux comes from SEI and VUI data. You can try processing a known bad disc with the software from my signature, it handles the SEI and VUI data frames correctly for Blu-Rays. I'm ripping the discs using MakeMKV. They run fine on the WDTV Live, the VC-1's just seem to have a problem on the Firesticks using Kodi. I've been looking up all types of things on the internet and this board this morning, and I think I'm just going to use Handbrake on them like I've done on several others. One good thing about this is that I think I have a better understanding of what the Handbrake settings do, so this has really been a learning experience. IT's been a long time dbone!!! Are you using Netflix or other media streaming services now? Do they stream decent 1080p with HD audio yet? I also don't yet own a 4K player or TV but the Nvidia Shield looks like a good future option since it is all contained. How are you handling your 4K titles? 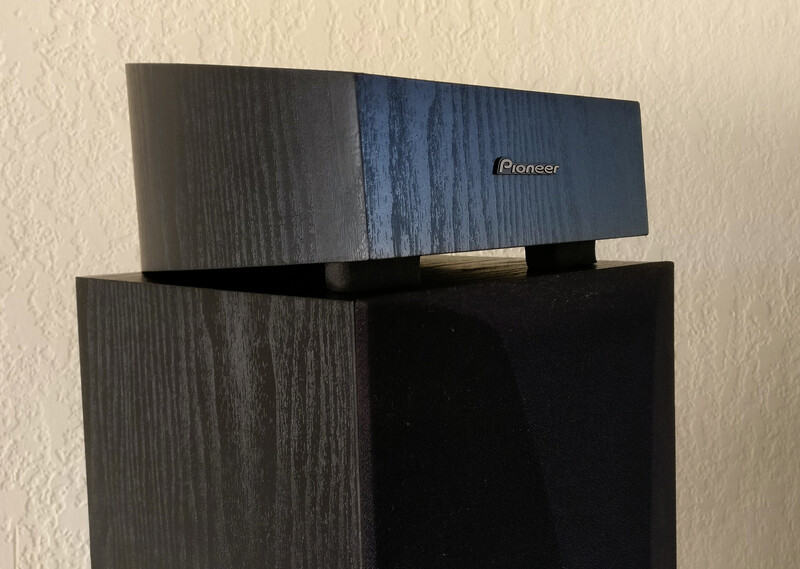 I need an external USB drive to rip from my computer (gonna guess my Pioneer BDR-XS06 will not handle it). Also what player do you use for discs? Last edited by agogley; 03-16-2019 at 02:18 PM. Yeah, I still lurk from time to time lol. I have no issues with 4k playback in the shield. Likewise, playback with Netflix, YouTube tv, work fine. I dont think an external USB drive will work for ripping 4ks. I use my xbox one for playback of the actual disc. mine are Mybook Live versions, but its good to hear somebody else is doing it. I'm mostly afraid of 3 years passing and being unable to access the mybook lives anymore (they are ethernet only accessible but I suppose I could take them apart and put the drives in standalone enclosure if necessary. How heavy is that EX4100? (I'm looking to put it up on a shelf). Are you using all 4bays with 4TB drives? That's an interesting idea. Allows me to get a smaller NAS especially since I don't plan on expanding my collection much. Not much cheaper initially (the Red hard drives for a NAS are about $110) and I'd have to really make sure I backup as I go along but in the long run it would be much cheaper since the drives are unlikely to break down (since they aren't in constant use) and I could fill them up completely. They're also smaller than a large NAS. The weight of the EX4100 is 13.5lbs without drives, so maybe 15-16 with all 4 bays loaded. As for me, I do use all 4 bays, but I have 6tb WD red drives in them, and they've been humming just fine for 3.5 years without a glitch. I have a 15 drive enclosure. I started out buying 4TB internal drives + 2x 2TB My Passports. At the 10th bay I switched to 8TB + 2x 4TB My Passports. I am at 14 bays full right now. Depending on TB/$ pricing will decide on next purchase for the 15th bay. By the time the last bay is full my first bay will have 8 years running time and I will replace it with a larger drive. Rinse and repeat across the bays. The My Passports have 5 - 10 hours of run time. Just enough time to copy a full internal drive over USB 3.0. I don't bother copying until the internal drive is full. I believe the My Passports have a 3 year warranty but I would make sure to get a 5 year on the internal drives. There are 2 different types of Red drives. If you are going to use WD Red's I would stick with the expensive version. Have you checked the video format compatibility list for your Sticks? I am currently researching what hardware and streaming services I will need to cut the cord and had been hoping to use Fire Stick/Roku to access the TV episodes on my NAS. They are mostly all H.265 which neither sticks handle. Check that list for compatibility. Also, just to be sure, check and verify you are 1GBps for ALL of your links. A cable kink somewhere can drop you back to 100Mbps or less. Last edited by pepar; 03-17-2019 at 03:44 AM. I am new here, but a long-time lurker. I've been building HTPCs going back to early versions of XBMC. A couple of years ago I purchased an inexpensive 12 bay Rosewill server chassis that I planned to grow into. I started with three 2TB WD Reds, and have expanded to 9 disks totalling 49TB of available storage. I didn't want to move into hardware RAID, so I went with UnRaid. I am so happy with it. I have the ability to add mismatched disks of any size and flavor, and maintenance is very simple. On the software side, the great thing about UnRaid is that you can run plug-ins, docker, and VMs along side your storage server. I use Docker extensively, managing images in the UnRaid UI. I run Plex for my front end, MakeMKV for my ripping, and Deluge for my...umm...other things. All of it is easy to manage. I didn't want to have to dig into bash or write scripts to get things to work. I am past the days of tinkering for hours on end to get the leisurely entertaining things in my life to work. It all just works well and remains consistently in-service. As an IT Consultant, the server also gives me the ability to easily stand-up virtual machines for testing and development. You may not be looking for all of this, but the disk array with parity protection along with having your media server software in the same box is worth the cost alone. Hello. Do some of you folks have a good option for streaming 4K MakeMKVs from a mac to my system? I'm now streaming regular 1080 MKVS successfully to an Oppo 103 with great pic, great uncompressed sound through Plex- can also stream to an ATV4K but the sound is not quite so good. I also tried an Nvidia Shield but that wouldn't even recognize my files. From reading other threads I get the impression 4K is much harder to get working right. I could try an Oppo 203 but they're marked up and hard to find with a return privilege. Thank you. You are talking about 4K mkv's that you made with makemkv? The Shield should play them. I am not super familiar with Mac and file sharing from it. But if you run plex server or emby server on the mac the Shield should see the files, then use the corresponding app. Thank you for responding, yes, it should see Plex from what I've read, but it wouldn't play them , it said "files not recognized". I tried Emby but there was some other problem with that, I don't remember what. I played with the Shield for 2 hours, then gave up. I had plex installed on the Shield and Mac.